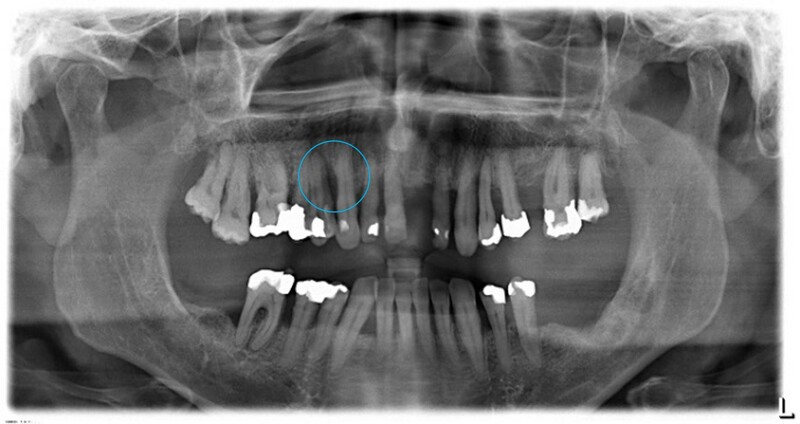 - Pre-operative radiograph. 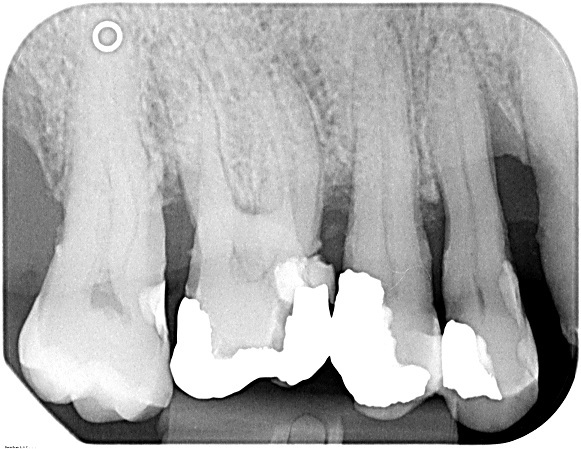 Intrabony defect on the mesial aspect of tooth 14. 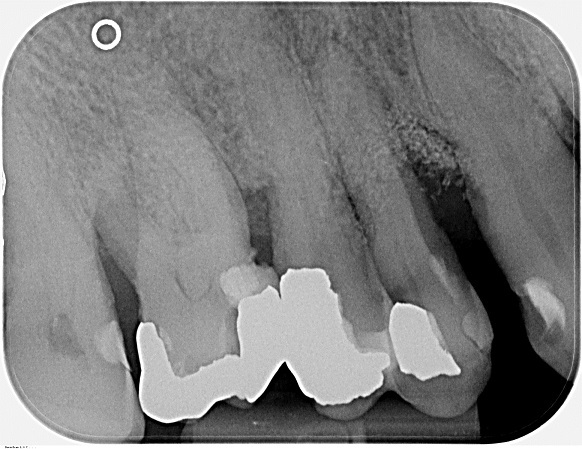 02/11 - Pre-operative radiograph. 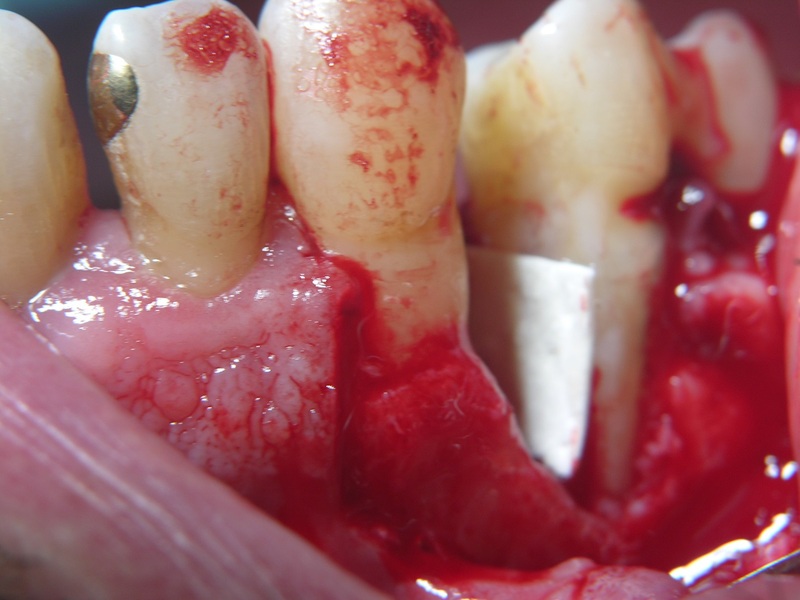 Deep intrabony defect on the mesial aspect of tooth 14. 03/11 - Pre-surgical clinical situation. 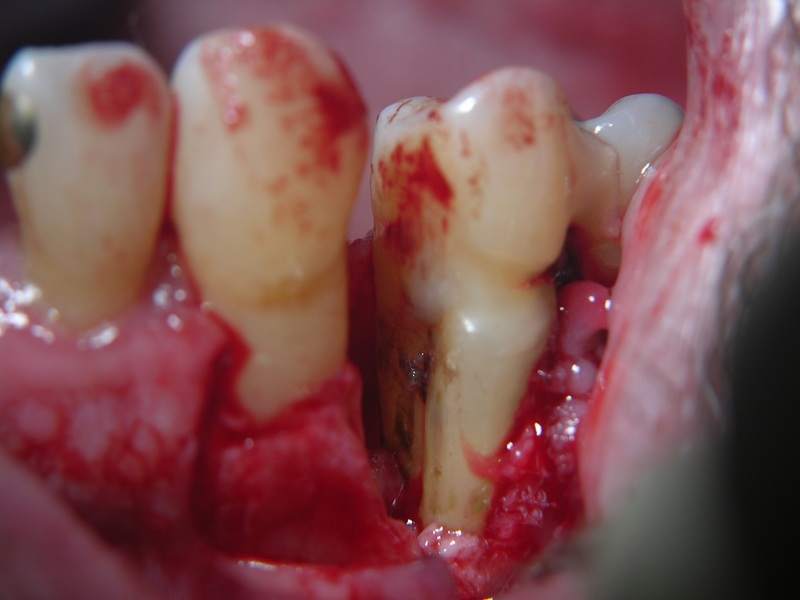 04/11 - Probing pocket depth of 12 mm mesially at tooth 14. 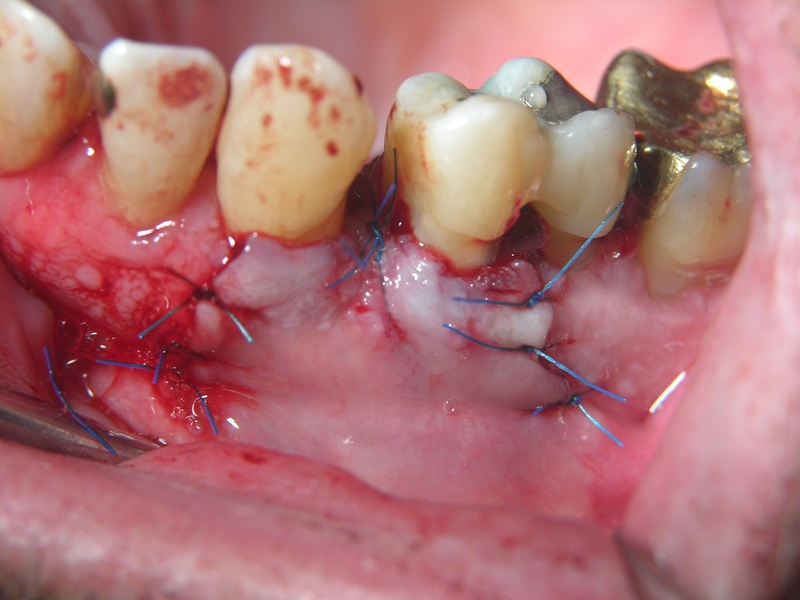 05/11 - 1- to 2-wall intrabony defect at the mesio-palatal aspect of tooth 14. 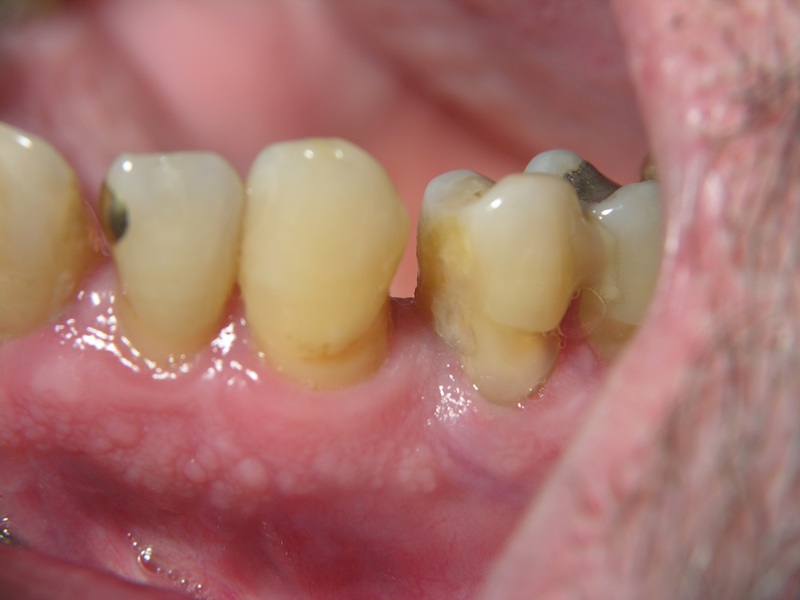 06/11 - After granulation tissue removal, treatment of the root surface with Straumann® Emdogain®. 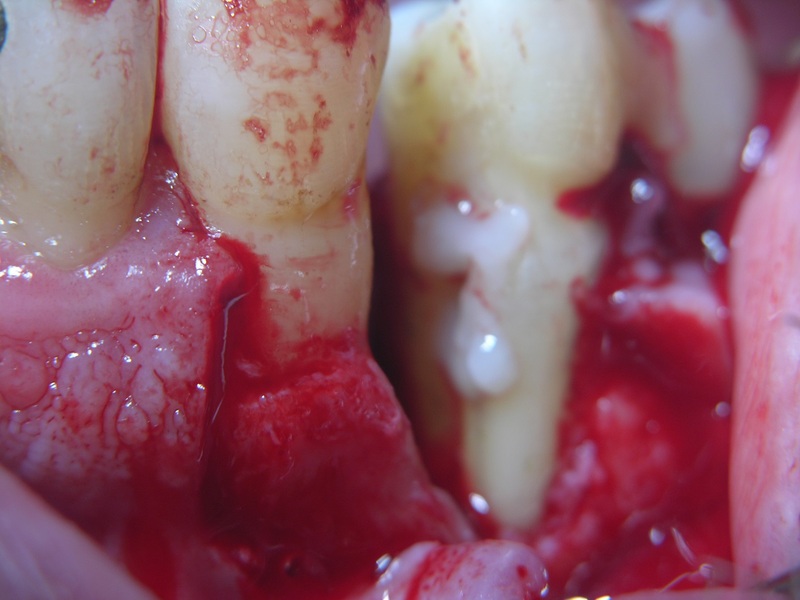 07/11 - Root surface covered with collprotect® membrane. 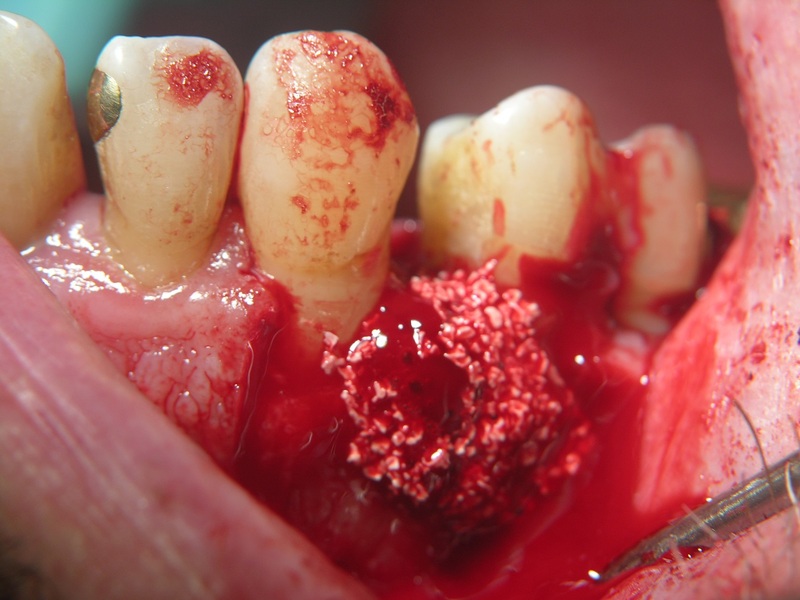 08/11 - Defect grafted with small cerabone® granules. 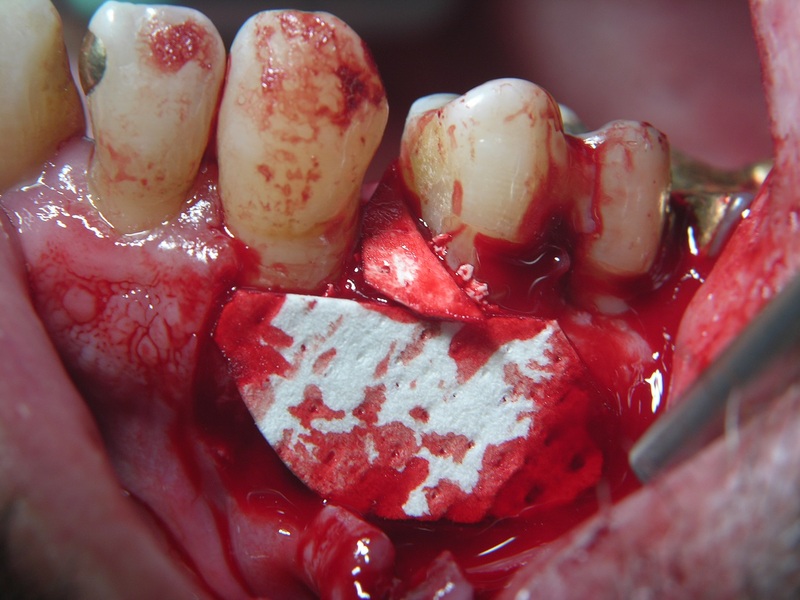 09/11 - cerabone® granules covered with collprotect® membrane. 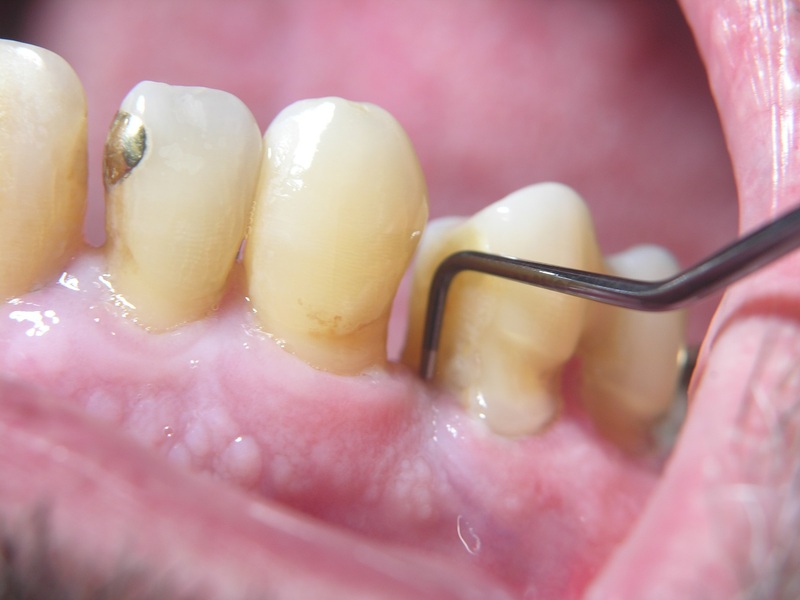 11/11 - Radiographic control 5 months post-operative.